One of the most anticipated events of the year is back this Sunday. For the third season running, Hamburg will host the 2015 ITU Mixed Relay World Championships in a whirlwind of dynamic racing. Just when you think the race can’t get any more exciting, something new and unexpected turns the race upside down to provide nonstop action each year. In 2014, with nearly two million people tuning in, the British team found itself in a down to the line battle with a young French team that had nothing to lose. 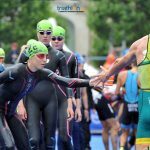 With three of its four competitors then under the age of 20, the woman-man-woman-man French team challenged the Brits that included Olympic medallists Alistair and Jonathan Brownlee, proving yet again the unpredictable nature of the event. Behind them, Hungary made its way to the podium over heralded Australian and American teams for its first ever Mixed Relay World Championships medal. France looks to be on point yet again as they just upset Swiss and British teams at the European Championships last weekend. The reigning World Championship Great Britain relay will also suffer the losses of Jonathan Brownlee and Alistair Brownlee as they sit Hamburg out. That could mean the French will have just the extra edge they need to upgrade their 2014 silver into gold. The US women have been unstoppable this year, and their talent will no doubt make the Americans a team to keep in check. 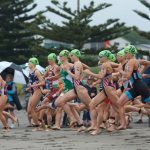 Likewise, Australia come locked and loaded with a massive team of athletes in the individual races, all of whom can strongly impact a competitive finish in Mixed Relay. Germany’s own athletes will be fired up to orchestrate a podium finish in front of a home crowd, while South Africa and New Zealand’s individual line ups suggest that their teams could surprise. The athletes lining up for each team will not be confirmed until the day of the Mixed Relay World Championships. The race will be held on Sunday at 4:45pm and will be broadcast live on ARD. 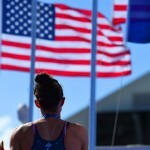 Follow @triathlonlive for play by play updates. In the six years the Mixed Relay World Championships has been held, three National Federations have won titles – Great Britain has three, Switzerland owns two and Germany one. Australia, USA, Canada, New Zealand and Italy have competed in every single Mixed Relay World Championships, which began in 2009. 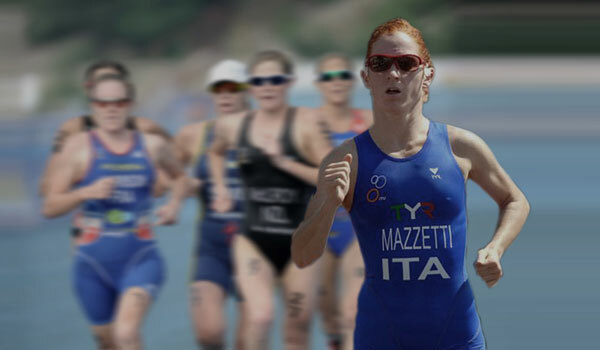 Of those on the start list, only Annamaria Mazzetti (ITA) has raced in every Mixed Relay World Championships, but she’s yet to score a medal. A total of 10 National Federations have scored medals in the woman-man-woman-man relay. Denmark, Austria and South Korea all make their debut at the Mixed Relay World Championship race.